ELD Mandate: Pesky Compliance Device or Efficiency Creation Tool? 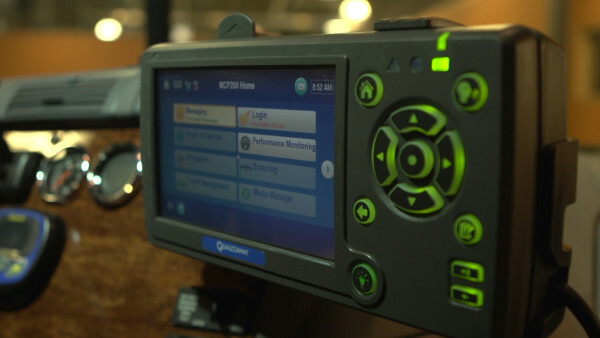 The recent electronic logging device (ELD) mandate in the United States has sent ripples through the North American trucking industry, as drivers and carriers alike are upset with the ruling, arguing that it will, in fact, hinder driver safety and lead the industry to be less efficient. The argument from drivers is that carriers will abuse the power of being able to know exactly how long their drivers have been on the road, forcing them to run their maximum hours of service even if a driver is feeling tired or unsafe on the road. Carriers, on the other hand, argue that it will reduce efficiency as drivers will be unable to “turn off the clock” while waiting for loads and be prevented from maximizing their daily mileage. And what happens if a driver is just a few miles from his destination and runs out of hours? Are we really going to force him to pull over for the night? Concerns from drivers and carriers are valid, but the issue comes back to a simple difference in perspective: ELDs don’t have to be exclusively compliance tools. When used effectively, this technology can make all parties more efficient, increasing earnings for drivers and revenue for carriers. 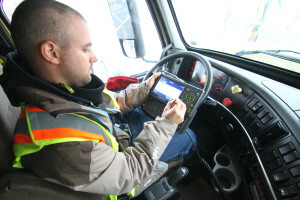 On the surface, electronic logs are simply a technology to replace written log books, but more importantly, they are a technology that serves to allow operations teams to put together more efficient plans to better utilize drivers’ time. It also helps drivers increase their own efficiency by removing some of the tedious administrative work brought on by paper log books. We committed to going paperless in March 2013 and by March 2014 our entire fleet was on ELDs. But it’s never been about compliance at Bison. As North America’s Safest Fleet, we have more compliance information than we could possibly need and our safety first approach prevents compliance from being a concern. Instead, we use the information ELDs generate in a far more productive way: to drive overall efficiency. Stay tuned in the coming weeks as we examine how the stakeholders in our industry - drivers, carriers, and customers - can maximize the potential of ELDs, turning them from pesky compliance devices into what they really should be: efficiency creation tools. If you are a driver looking to learn more about ELDs and how they can benefit you, we've developed an A-Z Guide for Drivers, outlining all of the important details of the ELD mandate, and how it will affect Drivers. Click the image below to download.